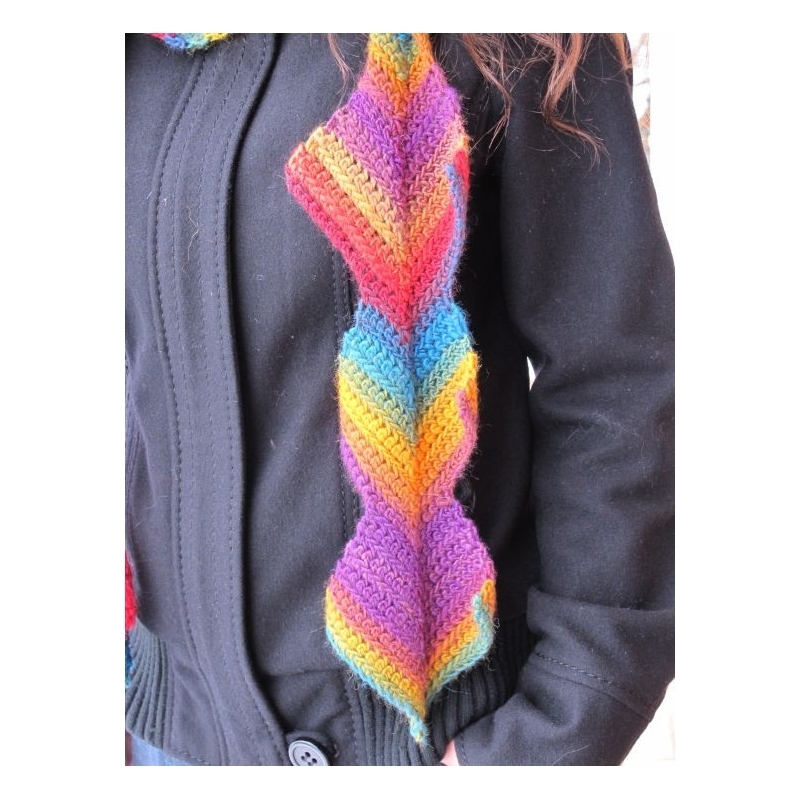 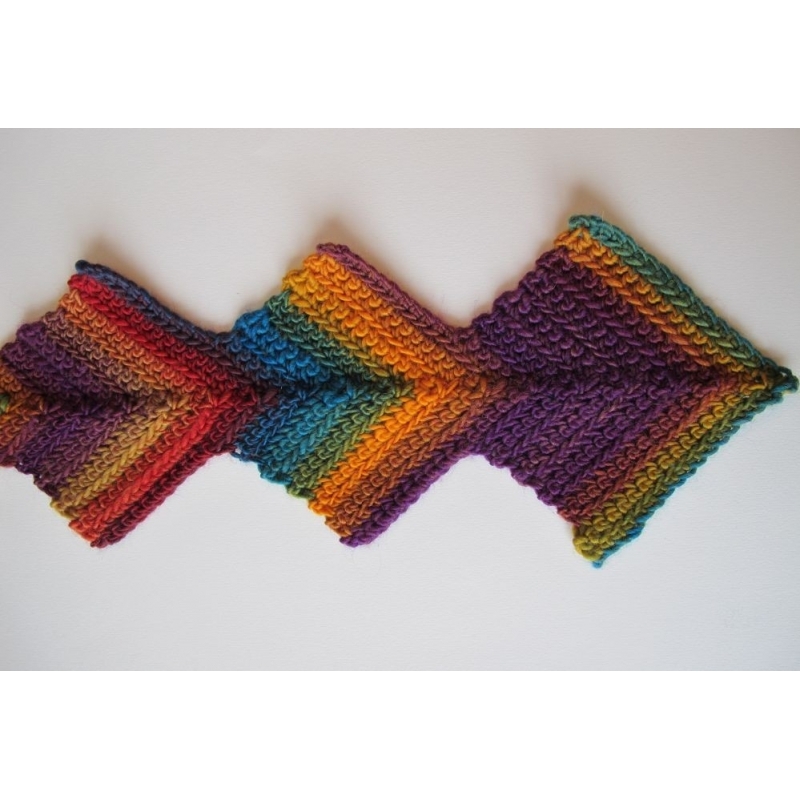 This scarf is worked all in mitered squares, and will show off a selfstriping yarn beautifully. 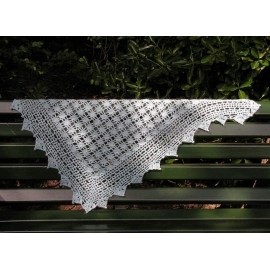 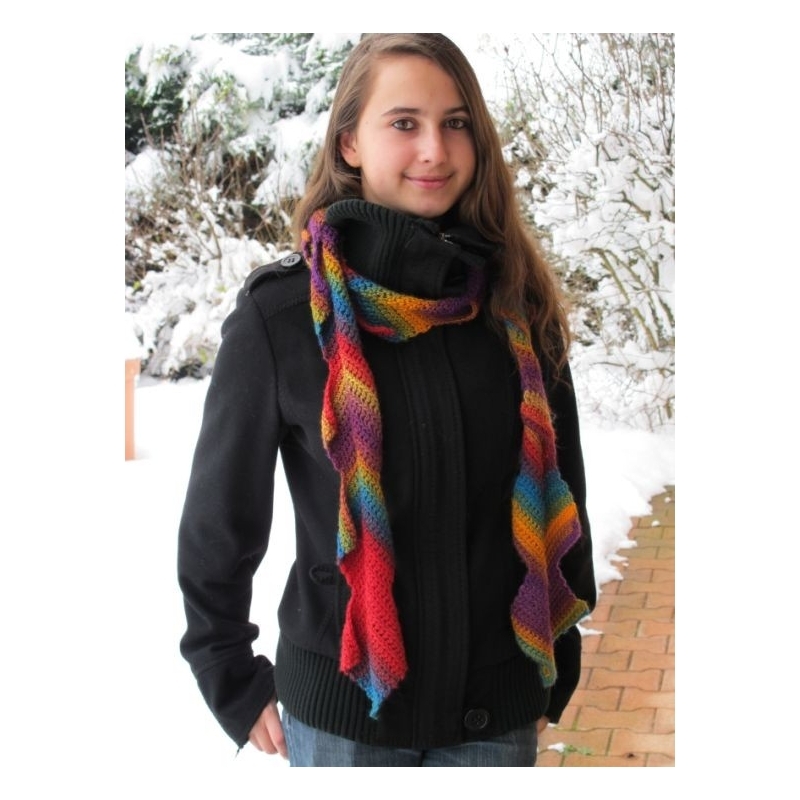 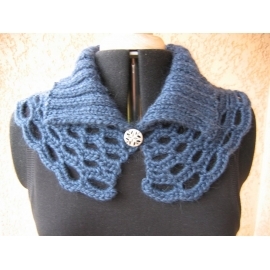 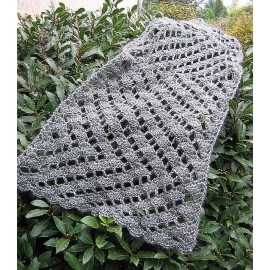 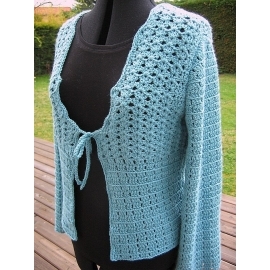 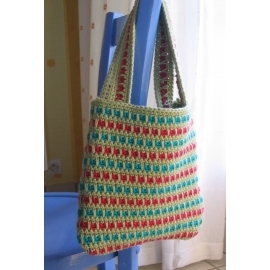 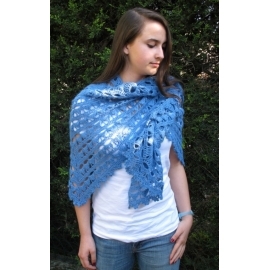 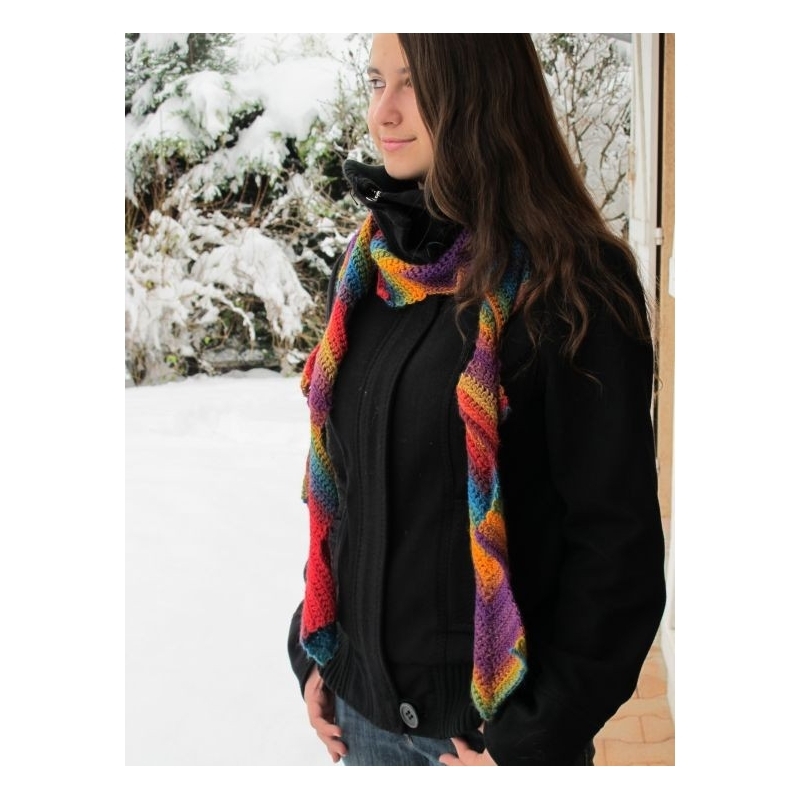 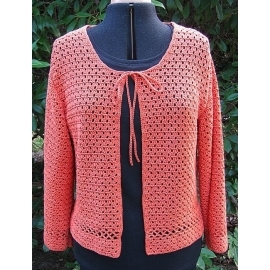 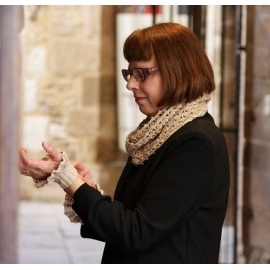 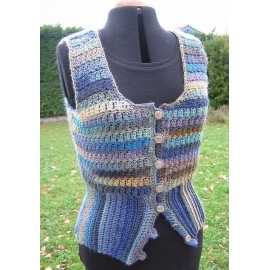 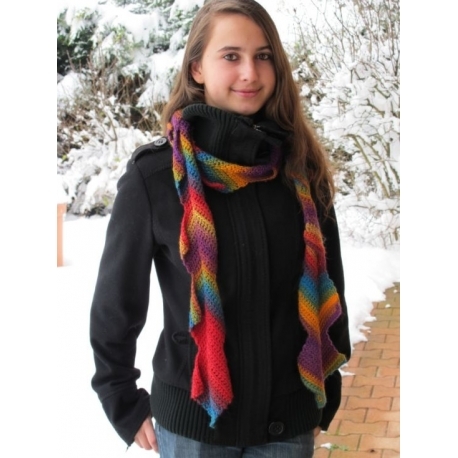 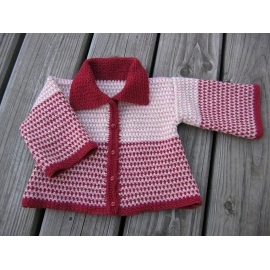 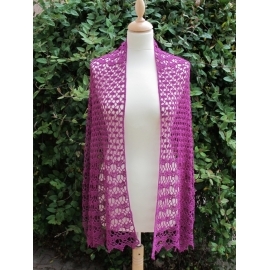 The pattern was originally published in the winter 2008 issue of Interweave Crochet. 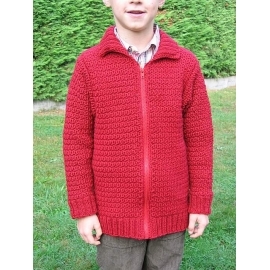 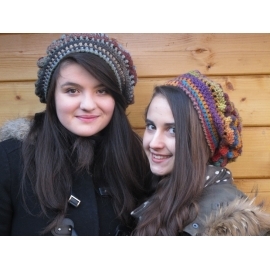 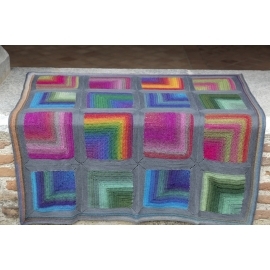 The new version of the pattern has been completed with a clear stitch diagram. 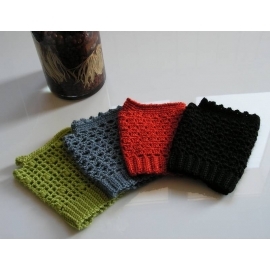 To work the scarf in the photos, I used a 6 mm (US J-10) hook and 3 balls of Mochi Plus.